Our 3-night Mekong Discovery Cruise offers travelers with limited time a richly rewarding adventure. Leave high-rise hotels behind. This unique Phnom Penh itinerary allows you to explore deeper into Cambodia's pastoral countryside and the witness the authentic lives of fisherman and farmers along the river. You will have plenty of opportunities to explore, from daily biking options (10 - 15km), kayaking, to relaxing excursions on shaded tuk-tuk. 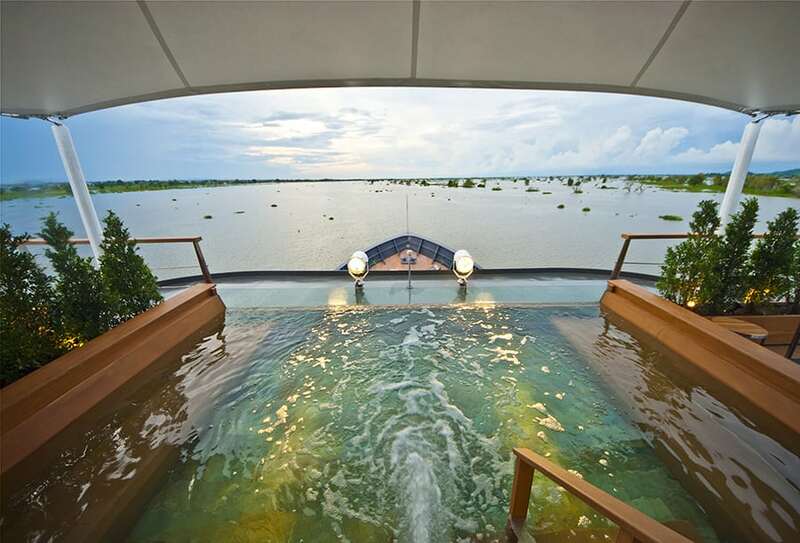 Start the day with a guided meditation on a sundeck overlooking the emerald greenery around the river, then travel in luxury amidst captivating landscapes along the Mekong river, from the Silver Pagoda and Art Deco of the Cambodian capital to Tonle Sap River. Watch artisans produce the magnificent silverware so favored by the Khmer royalty and visit traditional potters and palm-sugar producers. Explore the otherwise inaccessible locations on our custom designed, ergonomic and private speedboats, each sitting up to 10 guests.